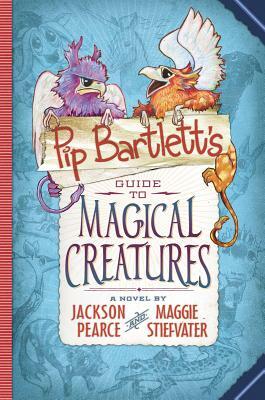 Pip Bartlett is a young girl who lives in a world very like ours, but with one huge difference, in Pip's world, magical creatures are real. People keep Griffins as pets and show unicorns competitively, there are special vets for magical creatures and a supposedly definitive guide book by Jeffrey Higgleston. Pip is really excited when she gets to spend the summer with her aunt who is a magical creatures vet. Pip loves all the magical creatures, plus she can talk to them (although no-one believes her). Unfortunately, Pip arrives in town at the same time as an infestation of Fuzzles. Tiny adorable creatures who burst into flames at the slightest hint of excitement. Can Pip get to the bottom of the mystery of where all the Fuzzles are coming from? And will there be enough time to save the Fuzzles before they are exterminated? I love this book. It's packed with humor and crazy but simple illustrations. The characters are very easy to love and although the concept is simple, the language is complex enough to make this a stretch for some younger readers. A hit waiting to happen.